Howlite: Mineral information, data and localities. First described as silicoborocalcite by Henry How (11 July 1828, London, England - 28 September 1879, Windsor, Nova Scotia) chemist, geologist, and mineralogist. Professor of Natural History and Chemistry at King's College, Windsor, Nova Scotia, Canada. Renamed shortly afterwards to howlite by James Dwight Dana. Visit gemdat.org for gemological information about Howlite. Even and smooth in porcelaneous types. Flattened prismatic with pointed terminations. Elongated on  or . Compact nodular masses, internally dense and structureless. Chalk-like, earthy, scaly, slaty structured. 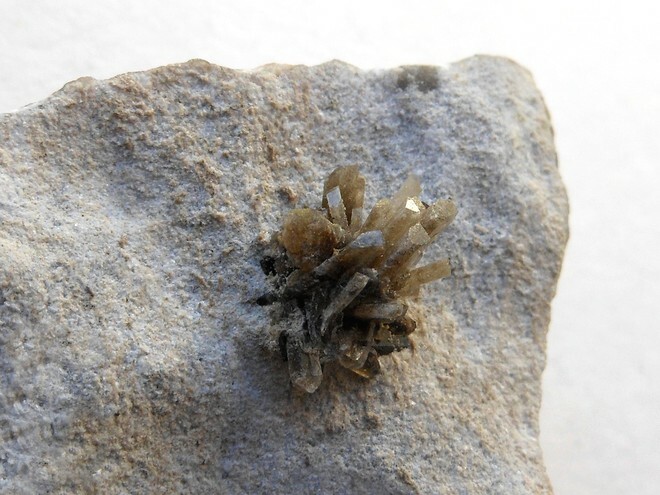 Nodules embedded in anhydrite or gypsum. Anhydrite 5 photos of Howlite associated with Anhydrite on mindat.org. 6.CB.15 Hydroboracite CaMg[B3O4(OH)3]2 · 3H2O Mon. Readily soluble in dilute acids. Gelatinous silica results from the reaction upon evaporation. How, H. (1868) Contributions to the mineralogy of Nova Scotia. III. 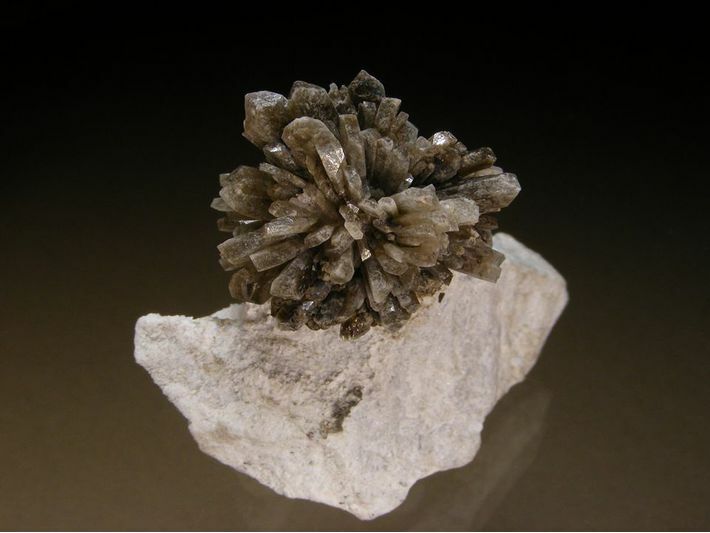 Borates and other minerals in anhydrite and gypsum. Silicoborocalcite, a new mineral. Philosophical Magazine: 35, (4th Ser. ), 32-41, 218. Dana, J.D., Brush, G.J. (1868) 601. Howlite. in A System of Mineralogy (5th ed.). John Wiley & Sons, New York, N.Y. (598). How, H. (1871) Philosophical Magazine and Journal of Science: 41: 270. (as Winkworthite). Penfield, S.L., Sperry, E.S. (1887) On the chemical composition of howlite, with a note on the Gooch method for the determination of boracic acid. American Journal of Science: 134: 220-223. Giles, W.B. (1903) Bakerite (a new borosilicate of calcium) and howlite from California. Mineralogical Magazine: 13: 353. Eakle, A.S. (1911) Neocolemanite, a variety of colemanite, and howlite from Lang, Los Angeles County, California. University of California Geology Department, Bulletin 6: 179. Murdoch, J. (1957) Crystallography and X-ray measurements of howlite from California: American Mineralogist: 42: 521-524. Finney, J.J., Kumbasar, I., Konnert, J.A., Clark, J.R. (1970) Crystal structure of the calcium silicoborate, howlite. 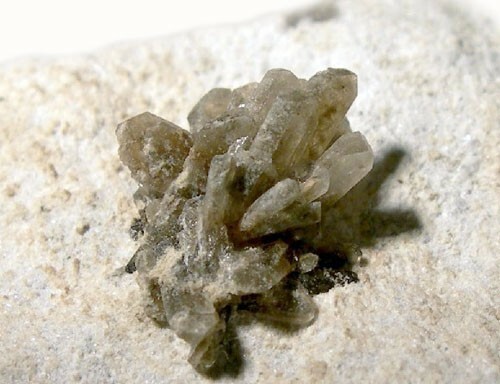 American Mineralogist: 55: 716-728. Griffen, D.T. (1988) Howlite, Ca2SiB5O9(OH)5: structure refinement and hydrogen bonding. American Mineralogist: 73: 1138-1144. Papezik, V.S., Fong, C.C.K. (1975) Howlite and ulexite from the Carboniferous gypsum and anhydrite beds in western Newfoundland. Canadian Mineralogist: 13: 370-376. Papezik, V.S., Fong, C.C.K (1976) Howlite and ulexite from carboniferous gypsum and anhydrite beds in western Newfoundland — addendum. 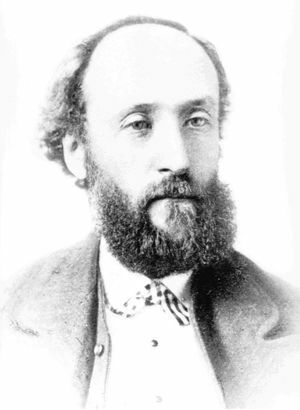 Canadian Mineralogist: 14: 393-393. Joyce, D.K. Gait, R.I., Sturman, B.D. (1993) Howlite from Iona, Nova Scotia Short paper presented at the Rochester Mineralogical Symposium, Rochester, New York, 1993. Ramik, R.A. (2005) Lost and Found: one of Canada's earliest type mineral localities. The 32nd Rochester Mineralogical Symposium, Program and abstracts, Rochester, New York, April 14-17, 2005. Chukanov, N.V. (2014) Infrared spectra of mineral species: Extended library. Springer (Springer Geochemistry/Mineralogy), vol. 1, Dordrecht, 1726 pp. The following Howlite specimens are currently listed for sale on minfind.com. Papezik, V.S., Fong, C.C.K. (1975) Howlite and Ulexite from Carboniferous Gypsum and Anhydrite Beds in Western Newfoundland. Canadian Mineralogist: 13: 370-376. HOW, H. (1868): Contributions to the mineralogy of Nova Scotia. III. Borates and other minerals in anhydrite and gypsum. Silicoborocalcite, a new mineral. Philosophical Magazine 35, (4th Ser. ), 32-41, 218. DANA, J.D. (1868): The System of Mineralogy (5th ed.). John Wiley & Sons, New York, N.Y. (598). RAMIK, R.A. (2007) Lost and found: One of Canada’s earliest type mineral localities. 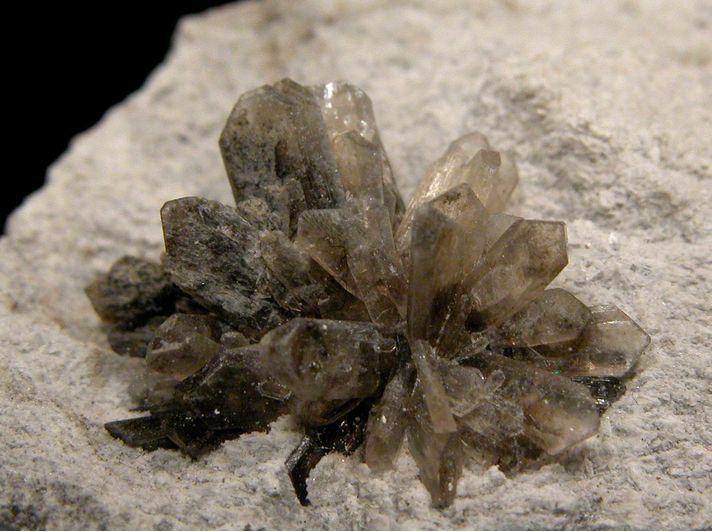 Abstracts from the 32rd Rochester Mineralogical Symposium, Rocks & Minerals 82, 244. Garrett, D.E. (1998): Borates - Handbook of Deposits, Processing, Properties and Use. Academic Press (San Diego, London), 475 pp. ; Miranda-Gasca, M. A., Gomez-Caballero, J. A., & Eastoe, C. J. (1998). Borate deposits of northern Sonora, Mexico; stratigraphy, tectonics, stable isotopes, and fluid inclusions. Economic Geology, 93(4), 510-523. Garrett, D.E. (1998): Borates - Handbook of Deposits, Processing, Properties and Use. Academic Press (San Diego, London), 475 pp. CAHIT HELVACI & RICARDO N. ALONSO (2000) Borate Deposits of Turkey and Argentina; A Summary and Geological Comparison. Turkish Journal of Earth Sciences, Vol. 9, 2000, pp. 1-27; Helvaci, C., & Alaca, O. (1991). Geology and mineralogy of the Bigadiç borate deposits and vicinity. Mineral Res. Expl. Bull, 113, 31-63. CAHIT HELVACI & RICARDO N. ALONSO (2000) Borate Deposits of Turkey and Argentina; A Summary and Geological Comparison. Turkish Journal of Earth Sciences, 9:1-27.; Helvaci, C. (1994). Mineral assemblages and formation of the Kestelek and Sultancayir borate deposits. Proc. 29th Intl. Geol. Congr. Part A, 245-284.; Helvaci, C., Mordogan, H., Çolak, M., & Gündogan, I. (2004). Presence and distribution of lithium in borate deposits and some recent lake waters of west-central Turkey. International Geology Review, 46(2), 177-190. Palache, C., Berman, H., & Frondel, C. (1951), The System of Mineralogy of James Dwight Dana and Edward Salisbury Dana, Yale University 1837-1892, Volume II: 362. Gale, Hoyt Stoddard (1946), Geology of the Kramer borate district, Kern County, California: California Division Mines Report 42: 332; Dibblee, T.W., Jr. (1967a) Areal geology of western Mojave Desert, California. USGS Professional Paper 522: 126-127; Morgan, V. and Erd, R.C. (1969) Minerals of the Kramer borate district, California California Division of Mines and Geology Mineral Information Service: 22(9&10): 152; Pemberton, H. Earl (1983), Minerals of California; Van Nostrand Reinholt Press: 510. Gale, Hoyt Stoddard (1946), Geology of the Kramer borate district, Kern County, California: California Division Mines Report 42: 332; Murdoch, Joseph & Robert W. Webb (1966), Minerals of California, Centennial Volume (1866-1966): California Division Mines & Geology Bulletin 189: 220. Palache, C., Berman, H., & Frondel, C. (1951), The System of Mineralogy of James Dwight Dana and Edward Salisbury Dana, Yale University 1837-1892, Volume II: 348; Rocks & Minerals: 11: 156.; Kramer, H.C. & R.D. Allen (1956), A restudy of bakerite, priceite, and veatchite, American Mineralogist: 41: 689-700; Eakle, Arthur Starr (1911), Neocolemanite, a variety of colemanite, and howlite from Lang, Los Angeles County, California: University of California, Department of Geological Science Bulletin: 6: 187; Foshag, William Frederick (1921), The origin of the colemanite deposits of California: Economic Geology: 16: 204; Allen, Robert D. (1957): 199; Masimer, G.E. (1966) Tick Canyon revisited. Gems and Minerals: 347: 20-23; Murdoch, Joseph & Robert W. Webb (1966), Minerals of California, Centennial Volume (1866-1966): California Division Mines & Geology Bulletin 189: 95, 154, 220; Pemberton, H. Earl (1983), Minerals of California; Van Nostrand Reinholt Press: 510. Dibblee, Jr., T.W. (1967a) Areal geology of western Mojave Desert, California. USGS Professional Paper 522: 142-146; Pemberton, H. Earl (1983), Minerals of California; Van Nostrand Reinholt Press: 510. Gale, Hoyt Stoddard (1914c), Borate deposits in Ventura County, California: USGS Bulletin 540: 442; Murdoch, Joseph & Robert W. Webb (1966), Minerals of California, Centennial Volume (1866-1966): California Division Mines & Geology Bulletin 189: 220; Pemberton, H. Earl (1983), Minerals of California; Van Nostrand Reinholt Press: 511. Palache, C., Berman, H., & Frondel, C. (1951), The System of Mineralogy of James Dwight Dana and Edward Salisbury Dana, Yale University 1837-1892, Volume II: 352.